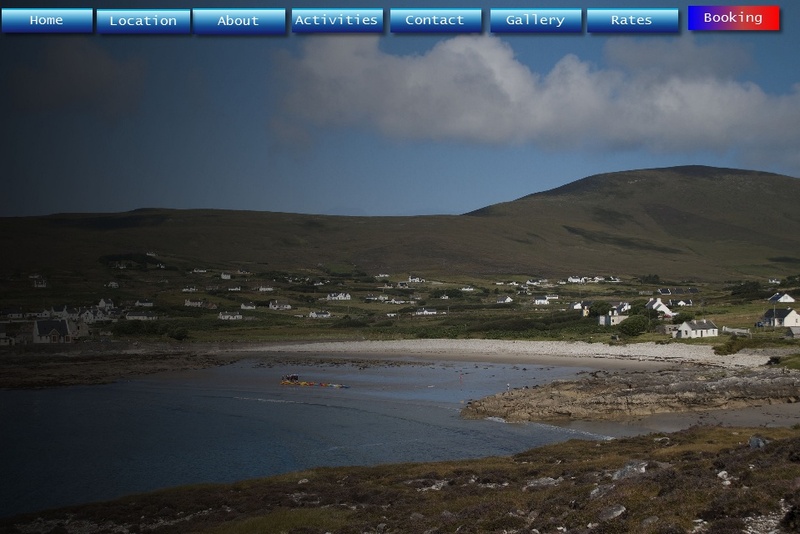 Dooega is a small fishing village on the Atlantic Drive cradled between Knockmore and Minaun hills. It looks out over the Atlantic Ocean to Clare Island the home of Granuaile [Grace O'Malley]. Dooega has a Blue Flag beach and a small jetty where the local fishermen moor their fishing boats - mainly traditional currachs. It also the home of Colaiste Acla: an activity based Irish adventure college that is renowned for its Irish language courses. Take the N59 from Westport or R311 from Castlebar via Newport to Mulranny. Continue through Mulranny village and branch left on the R319 for Achill. Cross the bridge onto Achill Island at Achill Sound/ Gob an Choire and continue through Achill Sound/ Gob an Choire on the R319 for 3.8km and turn left at Dooega/ Dumha Éige junction onto the L1405. Continue for a further 3.8km on the L1405 to reach Lavelle's Seaside House & Mickey's Bar. Alternatively you can take a train to Westport and a bus to Achill Sound. We can arrange collection at Achill Sound.